McHenry County is a vibrant weekend destination located in northern Illinois, just above Chicago. McHenry County’s unique urban farm environment is teaming with beautiful conservation districts, renowned farms and orchards, elegant shopping and plenty of fine and unique dining. But while McHenry County has a vibrant and thriving culture, its online presence and visitor guide didn’t tell as enticing a story. In 2014, McD Digital was tasked with developing an interactive marketing strategy that would increase awareness of McHenry County’s seasonal offerings, and improve weekend foot traffic from new visitors. With marching orders in hand, the McD team got to work. Step one was a thorough evaluation of the brand’s current interactive presence as well as defining appropriate mediums to build the new strategy. McD selected an online network buy as the tool of choice, and developed a PPC campaign based on client goals. These PPC ads utilized select demographic and geographic targeting, as well as clever writing and design to connect with the appropriate audience. McD also improved deficiencies within the Visit McHenry County website - something we undercovered during a complete SEO evaluation. Our team created new, expanded seasonal and dining landing pages that were well-targeted and designed to cause action. When the results started rolling in for the digital campaign, they far exceeded expectations. They crushed them! Within the first month of the PPC campaign, Visit McHenry County's ads garnered 1,453,427 impressions, 3,604 clicks and a Click-Through-Rate (CTR) of an astounding 25%. But this was only the beginning. The campaign continued to improve, gaining more impressions and greater clicks month over month. By the third month of the campaign, impressions had grown by 59.44% to 2,444,972 and the ads had received 8,518 clicks for a 29.63% CTR! Now that’s an interactive marketing strategy! Building on a new foundation set in 2015 of producing a Visitors Guide that keeps getting better, McD developed an innovative, pre-sold partner program that helped shift the Visit McHenry Insider Guide to almost all advertorial content (with the exception of the hotel section). 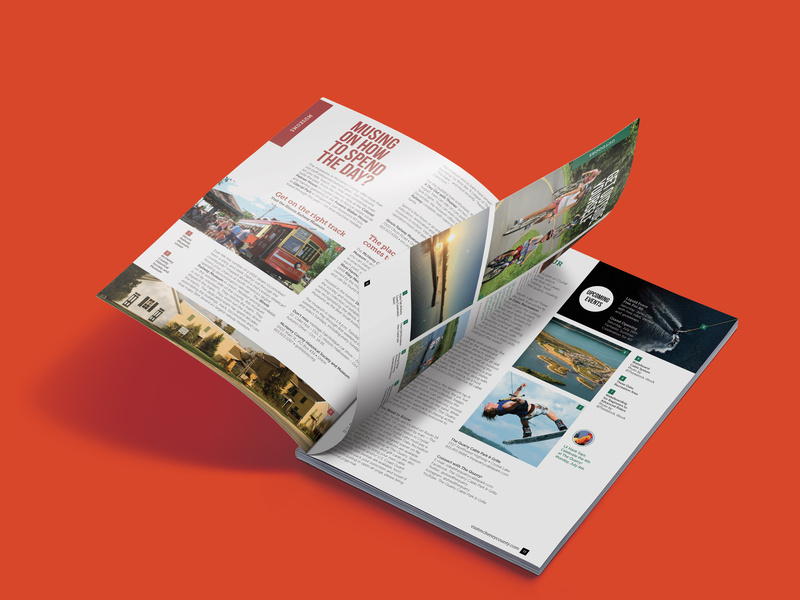 Our team provided turnkey content development and design, assisted with ad development where applicable and printing – and we turned it all around in just under 4 months! The 5-tier Partner Program encourages tourism-related business to maximize the value they receive from the CVB. This program also helped to form stronger bonds with each partner in addition to a greater impact on their business. Because of the success Visit McHenry County received with this program, other CVBs have reached out to McD for us to help develop similar programs for their destination. The Visitor Guide also earned us Best Visitor Guide at the 2017 IL Governor’s Conference. Profiling a true four-season destination, visitmchenrycounty.com effortlessly guides visitors through each season with picture perfect scenes of nature, culture, adventure and farms, all while showing the fun-filled days and star-filled nights visitors can explore. 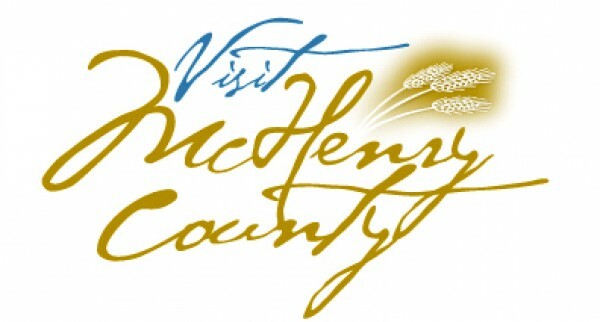 While the new website gives a complete overview and listing of all there is to do in McHenry Country, visitmchenrycounty.com prominently features McHenry Partners from our Partner Program with detailed descriptions, photos, videos, maps and links to the partner website. The website also encourages visitors to check out these locations first as they are key to making the marketing efforts of McHenry County possible. Plan Your Trip itineraries are included for each season with tips on the best places to see and do, as well as an interactive map to help you find top attractions, dining and stores. The website also has a section dedicated to McHenry County Made. This serves as an effective tool for the visitor to find the most authentic art, foods, drinks and other things made in McHenry County. Our new partner program has enabled us to re-invent our marketing plan and especially our visitors guide. Each partner receives a predefined amount of exposure on our website and our new Insider Guide based on the level of support they choose. McD made great use of this funding plan by developing an outstanding new publication that visitors will actually want to read. It truly tells the story of our destination and the unique attractions that are available in a compelling way. The guide was so successful, we had to print more six months later. Plus we don’t have to bother with ad sales anymore, which frees up time for more productive tactical work.